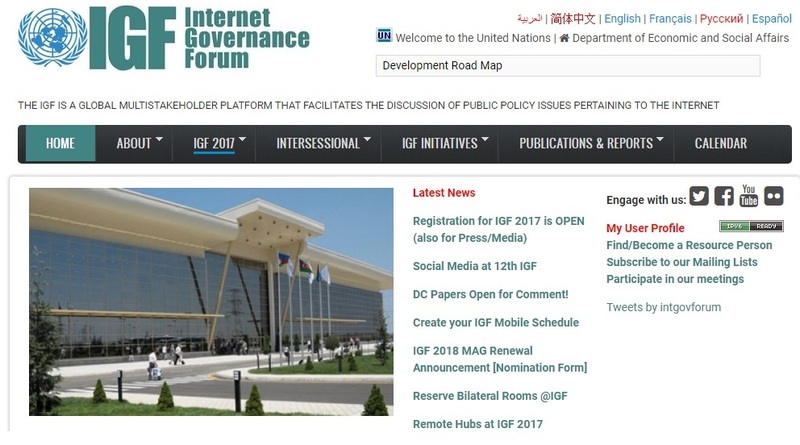 "Data for Sustainable Development Road Maps"
The session will take place on December 19th 2017, Day 2 of Internet Governance Forum 2017, from 09:00 -12:00. This special session shall discuss the impact that data road maps initiatives may have on national and global initiatives and movement towards the realization of the SDG’s. Experts will discuss four different but interrelated topics on data road maps. These are central aspects of open data policy globally and are significant topics of discussion in many workshops at the IGF 2017 In Geneva. The objective of this session is to leverage on the 3000 plus expert delegate across the globe to collectively discuss data road maps processes using a whole-of-multi-stakeholder approach to harnessing the data revolution for sustainable development in developing countries.